One of the biggest problems with dive knives is corrosion and Atomic solves that issue with a beautifully crafted and honed full-tang Titanium blade. The renowned Atomic design aesthetic is apparent in the molded handle with finger grooves for a secure grip. 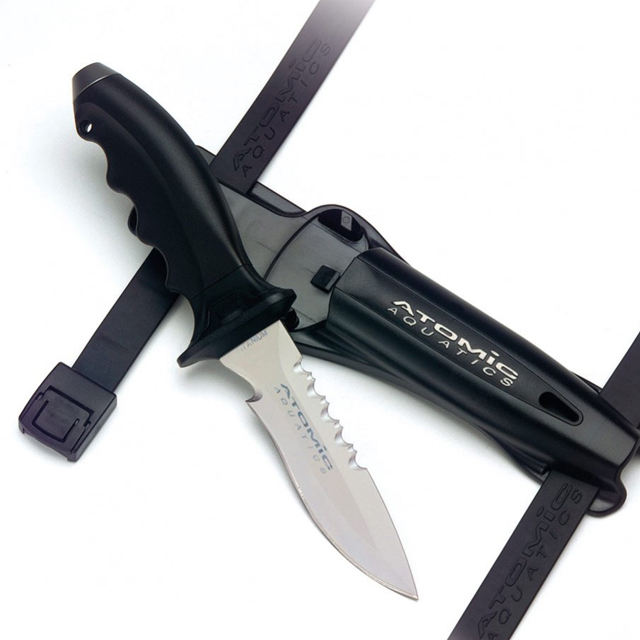 A lanyard hole helps cold water divers with limited dexterity due to thick mitts to keep the knife within reach. The Titanium end cap can be removed to disassemble the knife for cleaning – that is, to clean everything but corrosion since that will never be a problem.